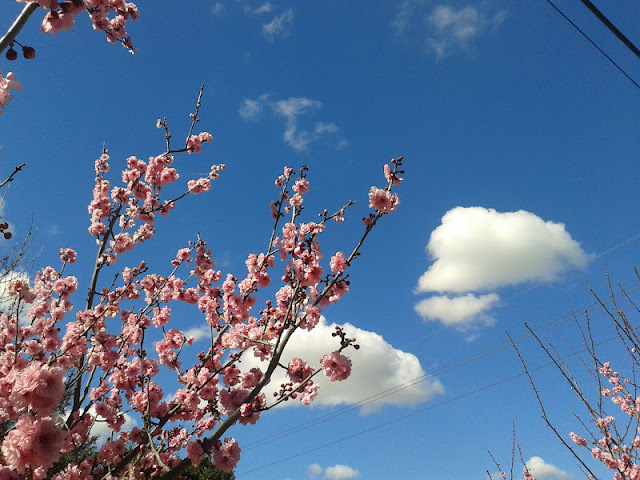 Spring has been just beautiful with the flowers blossoming, blue skies and white fluffy cotton ball clouds. 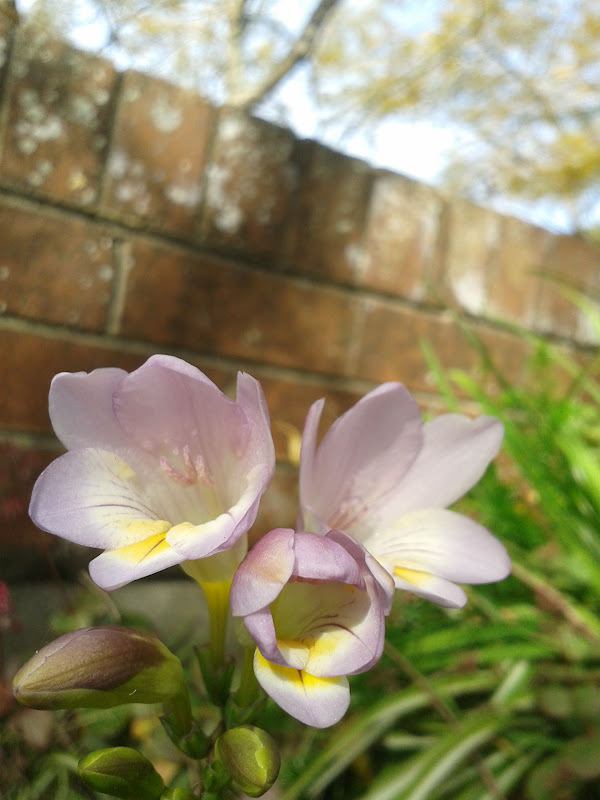 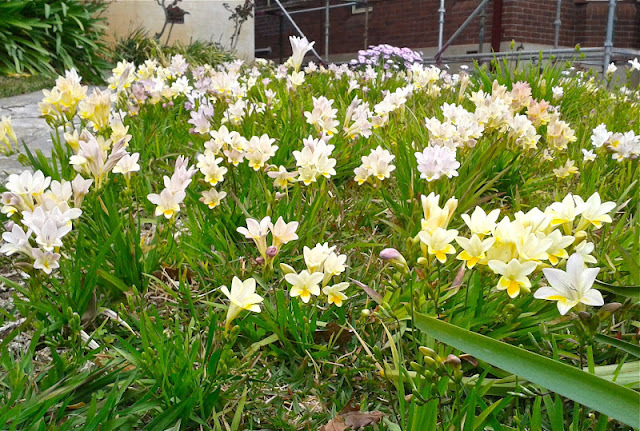 It's so lovely going for walks at the moment as the smell of Freesias just wafts by. I have them growing in the garden and lots of the neighbours have them in their front yards too. I thought I would post a few photo's to remind me how uplifting they are before this wind dries up the flowers and blows them all away. 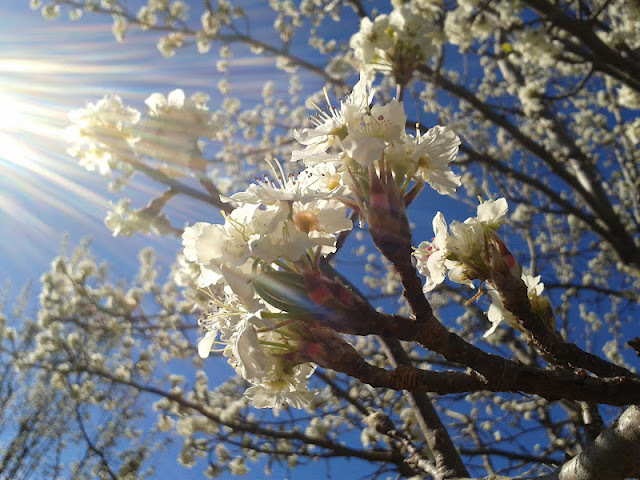 I LOVE spring. Love that first shot with the pink blossoms. 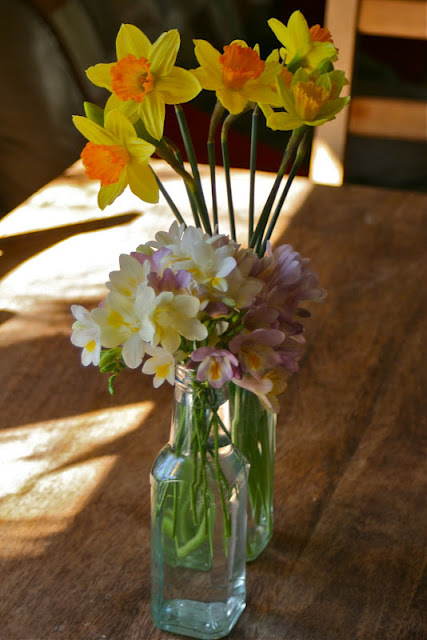 and freesias look beautiful in that little square bottle. 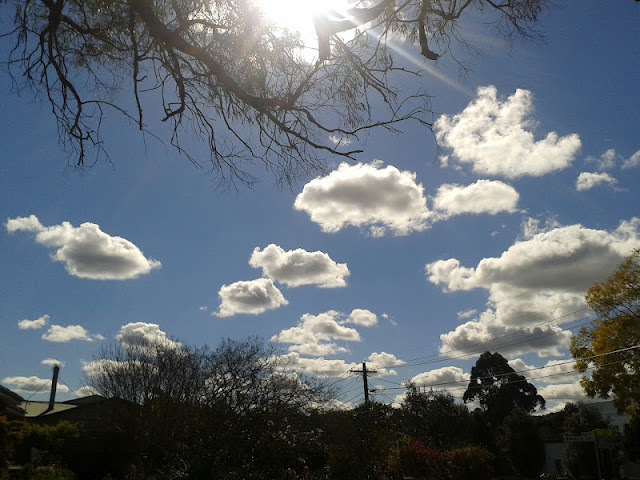 Take me away for a night and a day. . .